The project objective was to offer better signage to out-of-town patrons who were hoping to access Chairs 3 and 4. This required constructing two large corbels to provide a better overall experience for skiers and snowboarders at the mountain. 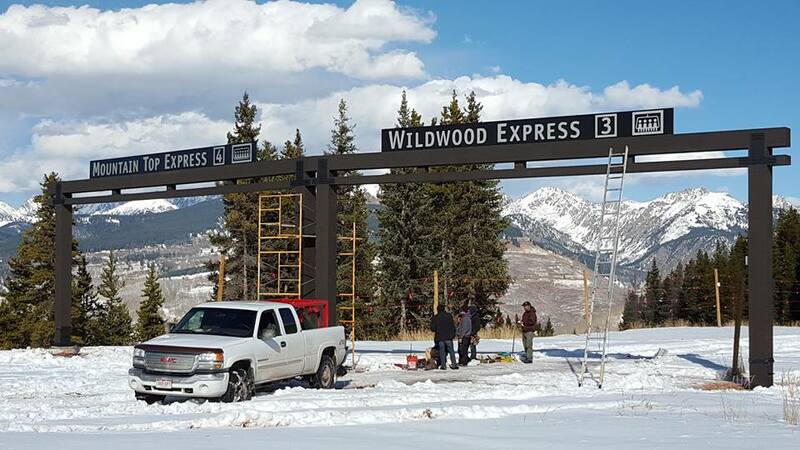 Vail Resorts’ objective was to complete the signage project prior to the opening of the 2015-2016 ski season.